August 2017. 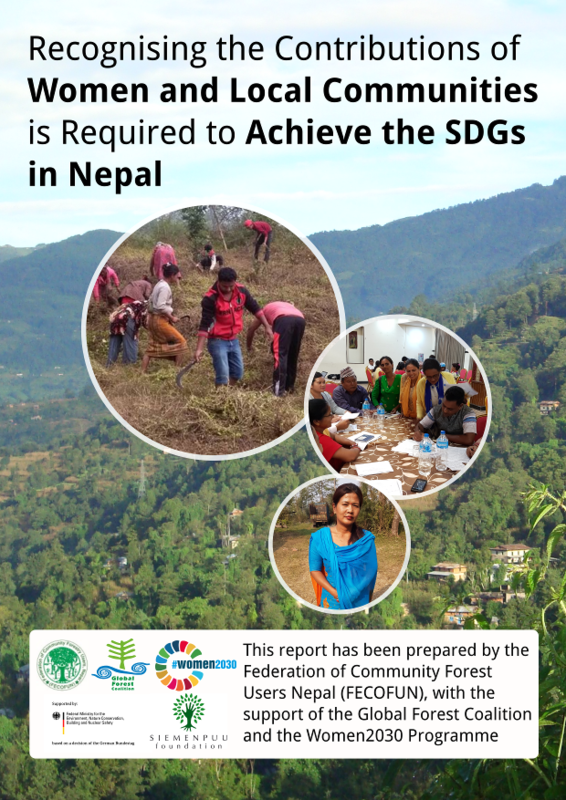 This report has been prepared based on consultations in different local communities and with rural women’s groups who are sustainably managing natural resources in ways that need to be recognised in order to achieve SDGs in Nepal. And for the full realisation of the 2030 Agenda for Sustainable Development that commits to “leave no-one behind.” In the context of Nepal, thousands of local communities have been managing productive resources for generations. With full and effective participation and leadership from women in the community, these local natural resource management groups have actively contributed to achieving the targets of the Millennium Development Goals (MDGs) and SDGs in the effective management of natural resources such as: forests, watersheds (drinking and irrigation), wetlands, ecosystems, public land and cultural resources.